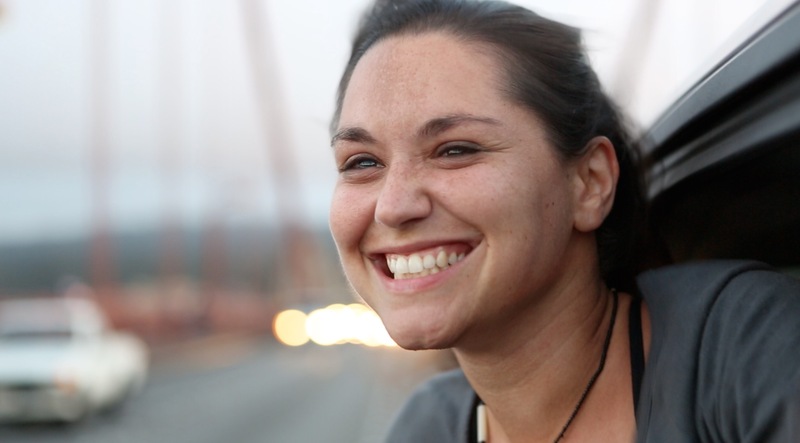 We had the opportunity to interview documentary filmmaker, Vanessa Crocini on her experience working with an all female crew on The Empowerment Project. As well as the journey towards the film being nominated for an Emmy. What project did you work on that was nominated for an Emmy? Tell us about it. What role did you play in creating this documentary? ​I was the documentary shooter of the crew. The one always ready with the camera to film our long hours of driving, to film our meeting the women we interviewed for the first time​, to tell the highs and lows of a journey where you grow within each mile you drive. Who were the three women that were interviewed for this documentary? Were you apart of the process of choosing who would be highlighted or were you assigned just to document their journey? ​The other women are Sarah Moshman, creator of TEP and director and also an Emmy winner filmmaker! Dana Michelle Cook, producer and also Emmy winner filmmaker, Ashley Hoff, co producer for TEP and amazing producer for Critical Content and Alana Fickes, director of photography and well known YouTuber. I wasn’t involved in the process of choosing the women we interviewed, but we were all asked to give suggestions. Mostly Sarah, Dana and Ashley worked on that. Their determination brought us to meet incredible women. From a chief to a lawyer, from an astronaut to a chef, from a pilot to a former Miss USA, from an architect to a Four Star Vice Admiral of the Navy. I am in awe of each one of the incredible women we met. But I have to say meeting Four Star Vice Admiral of the Navy, Michelle Howard, was incredible. I told her since I have been living in the USA, I have felt very involved in politics and I genuinely feel this country is amazing. She told me: “Even if you were not born here, you are one of us.”. I love my country, Italy, but the USA have adopted me for the last 10 years and I feel blessed with all the opportunities I have had here. And I’m looking forward to being inspired by more women and more adventures in the upcoming years. Why do you feel it is important to have a voice and share our stories as women? ​ I think women stories have always been told by men and there is nothing wrong with it, except it is just one perspective and we need our own perspective to tell our stories. Our voices can be loud and strong and I feel now more than ever women can really make a difference through the work they do. You see in several countries in Africa, women are already president and without women societies are not progressing. 2016 has showed us the importance of having our voices heard. We are aware of the strength we have as women, as artists, as human beings. It was 5 female filmmakers. How were you chosen for this film? Did you seek it out? Tell us that process. Also how was the experience of working with all female filmmakers? 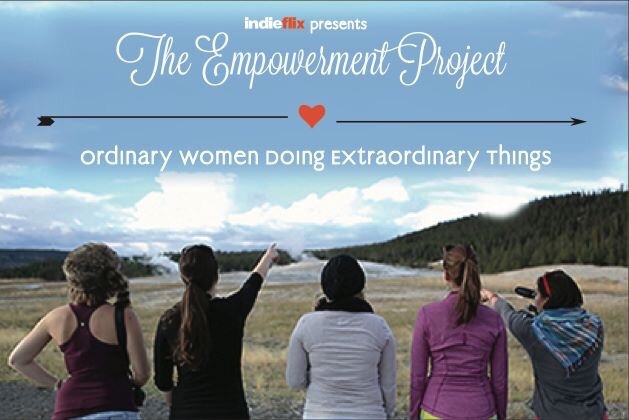 ​I saw a link on FB about a Kickstarter campaign about a documentary series about women called The Empowerment Project. I donated 5$ and sent a message to Sarah Moshman, the director, congratulating her for the incredible project. We met for coffee a week later and she asked me to join the crew of TEP and be the documentary filmmaker. Incredible, right? I met the other women twice before leaving.So we really didnt’ know each other, we got to know each other along the journey. I think in in an experience like this, you have the chance to grow a lot. We were together 24/7​. So you learn about each other in so many aspects. We were organized with all the different flows of the production. Moving bags, putting all the equipment back and forth from the car to set, emails and all of that during the driving and at night, copying and reviewing all the dailies. We had one day off in Chicago and for the rest we were active and focused in making this film for that whole month. As much as we were tired at times, because long hours of driving are tiring, we were always happy to discover new places and meet new people and talk about our life experiences. It was an incredible experience. Take us to that day of being apart of the Emmys. What was that experience like? ​The Emmys were fun! There is something magical about being recognized for the work you do. First of all, it is a night of celebration. We are all winners, whether you win or not, especially because we all come together to celebrate artistic work, important work. Being in the industry is not easy, so having each other’s motivation in this journey is fundamental. ​It was fun, red carpets are always super fun. We took tons of pictures, and just celebrated what this film has been in the last 2 years. It has empowered so many people worldwide, with more than 200 screenings. We were happy and proud of being nominated. We didn’t win an Emmy. But it really doesn’t matter. We know young girls have been motivated and empowered by watching this film, so that is worth much more than any award you could win. That is why we make these films. To make a difference and to bring a positive change in our society. How can we see the empowerment documentary? ​You can pre-order it on iTunes and Amazon!!!! It comes out on January 17th! 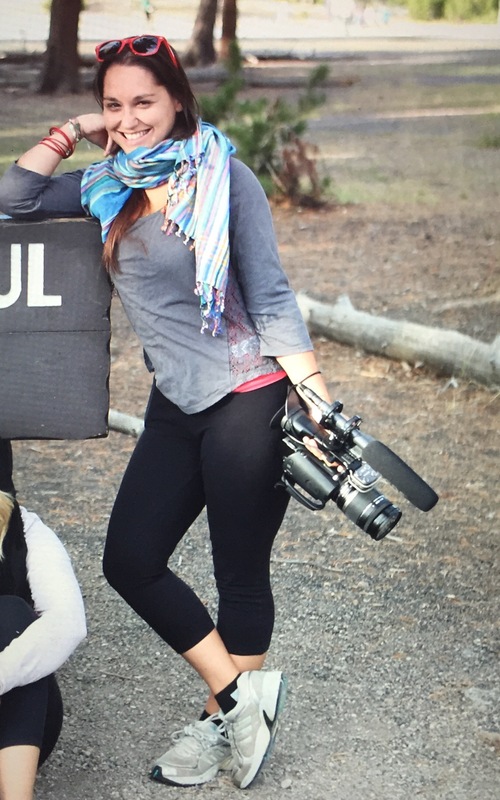 Posted in Behind the Scene and tagged behind the scence, documentary, filmmaking, films, the empowerment project, Vanessa Crocini, women in film. Bookmark the permalink.